A woman’s body is a wonder of nature, capable of bearing new lives, and with powerful self-healing and transformative capacities to regenerate monthly. However, the sensitivity typical to female anatomy sometimes makes women’s bodies vulnerable and prone to chronic pain and women-specific illnesses. If you are experiencing these ailments, you may have never thought of looking into women’s health physio as a solution. But women’s physiotherapy can help you improve and overcome many of these pains that arise due to age, diseases of the female reproductive system, or other medical conditions that affect you as a woman and are not exclusively anatomy-related. 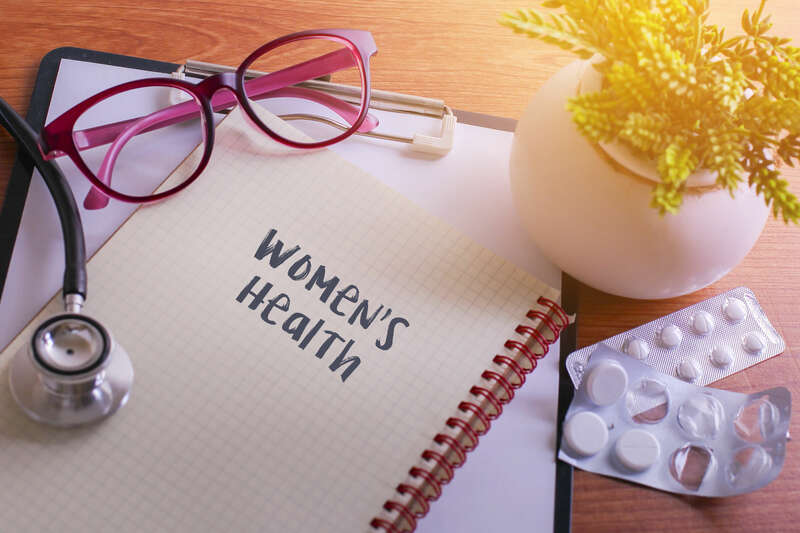 At Pro-Fit Physio, we run personalised discreet consultations and specialist treatment programs to alleviate most common symptoms of women’s health conditions, helping you get the maximum of your health capacity at any age. Despite individual differences, women’s bodies have less muscle mass, more fat, and a peculiar hormonal constitution. These factors contribute to some diseases that are more common in women than in men. Lifestyle also matters. Therefore, if you find yourself diagnosed with one of these female associated illnesses, there are physiotherapy techniques that can help you heal them concretely and enhance your overall health. Women’s health physiotherapy techniques are specialised for treating critical periods in a woman’s lifetime, including pregnancy, menopause, and senior years, but can also target acute conditions. Manual therapy helps patients soften tissues and joint stiffness, as well as improve their mobility by applying consistent hand motions and movements. To retrain muscles, physiotherapists concentrate on awareness about daily habits, including posture and movements. For example, what are the most frequent physical activities you unconsciously do that worsen your condition? With a targeted exercise program, you can regain some of your body’s lost strength and endurance, but also boost your joint and bone strength, overcoming the weakness that comes with age, hormonal disbalances, or from a debilitating chronical condition. Physiotherapy equipment modalities like heat and ice therapy, shockwave therapy and hands-on massage solve unpleasant pain and swelling problems. Since not all women’s physio problems are necessarily related to the reproductive system, women can also benefit from standard physiotherapy treatments applicable to all patients. Together with regular post-surgical treatment or exercises for women’s athletes or ballet injuries, many of the physiotherapy treatments encompass a holistic approach, targeting both physical and mental wellbeing of female patients. PMS can be a nightmare. A physiotherapist can work with manual therapy to release tension, as well as provide advice for relaxation and self-care. Additionally, they can use kinesiotherapy and electro-stimulation to help you with migraines, headache and constipation. Physical therapy during pregnancy can alleviate lower back pain, neck stiffness and headache, pain in the thorax, the ribs, wrists and palms, as well as leg cramps and weakened abdominal muscles. Post-surgery and prior to the operation, endometriosis problems can be treated with specialised physio treatments, including myofascial therapy, spinal mobilisation, flexibility improvement exercises, trigger point release, flexibility exercises, anti-stress and relaxation techniques, thus easing the effects of late diagnosis, which can take as long as 7 to 10 years. PCOS comes with an array of discomfort: pain, irregular periods, and estrogen storage in fatty tissues. A women’s health physio expert can help with making appropriate dietary changes and lowering insulin levels. More than 90 percent of Australian women have at least one risk factor for heart disease. From mild heart disease to major heart attacks, physical therapy can address a number of factors that endanger the female heart health by applying anti-smoking and exercise advice, managing weight and cholesterol levels, as well as by cardio rehabilitation programs. Apart from complicating physical activity, obesity is a major risk factor for Type-2 diabetes, CVD, and musculoskeletal conditions. Physiotherapy can prevent risks and provide women with practical advice and exercise programs executed in a supervised environment to help them with weight loss and increased muscle strength. According to an ABS survey, one in eight women reported some anxiety disorder. It is a well-known fact that aerobic exercise helps with depressive symptoms and anxiety, including post-partum depression and general mood. The release of serotonin during resistive or aerobic physiotherapy training can alleviate many of the common mental and physical pains associated with depression. Neurological physiotherapy offers promising rehabilitation results to patients who suffer from primary neurological and neuromuscular disorders or conditions which have indirectly affected the brain and the nervous system. If your GP advised that you need to talk to a neuro physio specialist, you will be getting combined help. This includes the latest discoveries and trends in advanced neurology, as well as exercise to help you heal or improve acute, degenerative, functional, and traumatic neurological conditions. Neuro physiotherapy is a medical branch. It includes specialist treatment to rehabilitate patients who endure the consequences of conditions that affect the brain and the nervous system. If you think of reasons such as injury, trauma, a long-term illness, or genetics, you are right. For instance, prolonged neurological physiotherapy can help people suffering from Alzheimer’s disease, epilepsy, multiple sclerosis, or migraines. Neurological disorders cause some type of structural, biochemical or electrical abnormalities in the brain, spinal cord or other nerves. These make it difficult for people to move, or to use their body and brain in an optimal way. We need all our nerves to function to the highest standard. Unfortunately, illness is part of life and, sometimes, it can affect our neurological health. Neurological physiotherapy can help you restore the lost health, at least partially if not in full, and ease down the pain of the declining functioning. Naturally, each neurological condition on this list has its own peculiarities. That’s why you should describe your symptoms to our physiotherapist at Pro-Fit Physio in more detail so that you can get specific advice and treatment on the type of disorder you need assistance with. Even if many of these names sound unfamiliar, you probably know more about your own ailment. Regardless of the cause – genetic reasons, tumours, toxins, viruses, a stroke or alcohol abuse – you can do something to feel better and reduce symptoms, even if the prognosis for a cure is poor. Our physio specialist will be assigned to you to work on relieving your pain with exercises, as well as with tips to manage your condition within its constraints. The cure for degenerative neurological conditions, if we can call it that, is developing a functional new strategy to help you compensate for the losses in vital functions that resulted from the disease. An expert in neurological physiotherapy has been through the same with multiple patients and will know exactly how to help you and your close ones manage the new reality with less stress and pressure. In contrast to neurological conditions where the primary cause is related to the nervous system, secondary neurological conditions arise from another main medical problem, for instance, a tumour or a stroke. The limited blood flow to the affected area after a stroke can cause a whole range of often unpredictable symptoms. Therefore, a dedicated physical therapist with knowledge in neurological physiotherapy will develop an individualised plan to combat symptoms and improve the neural plasticity and responsiveness of the injured part. Traumatic injuries take a huge psychological and physical toll on the human body. You not only have to deal with the shock of the sometimes permanent loss of vital functions, but you might also need to endure chronic pain. Neurological diagnoses are among the most challenging health conditions. The fact that you are motivated to do as much as you can about it is a sign of a positive change in an overall exhausting situation. The positive change will follow as a natural consequence of resolutely following a rehabilitation program developed by a specialist in neurological physio care.